Kitchens Are Monkey Business: Rosie Is Amused By Simple Things. Joan Rivers was stopped by the border patrol in England while she was filming her show, 'Joan Knows Best'. The patrol was suspicious of a fishing boat Joan was using, and then they mistook her as an illegal immigrant. 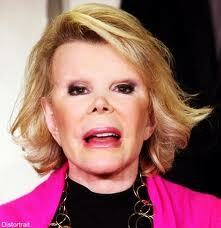 "Joan Rivers Mistaken for Alien." 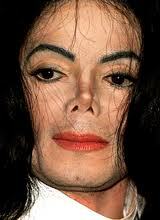 Did the same doctor do Joan's and Michael's noses? No, Rosie. You were not the only one who read the title of the article that way. Great minds think alike!